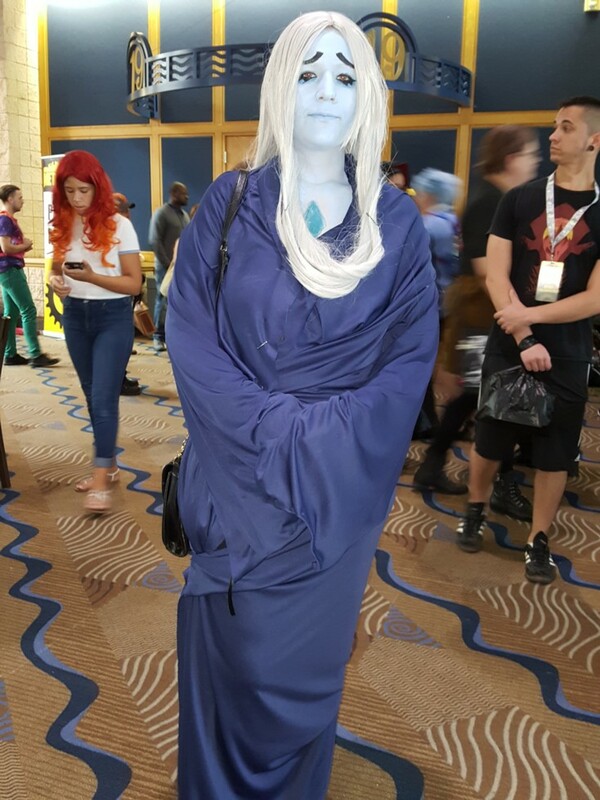 Pictures from Metrocon, July 2018! 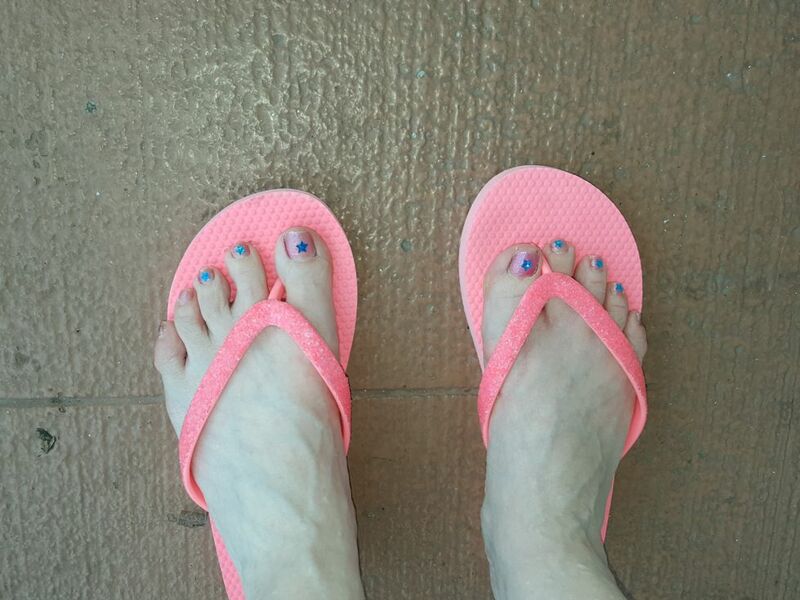 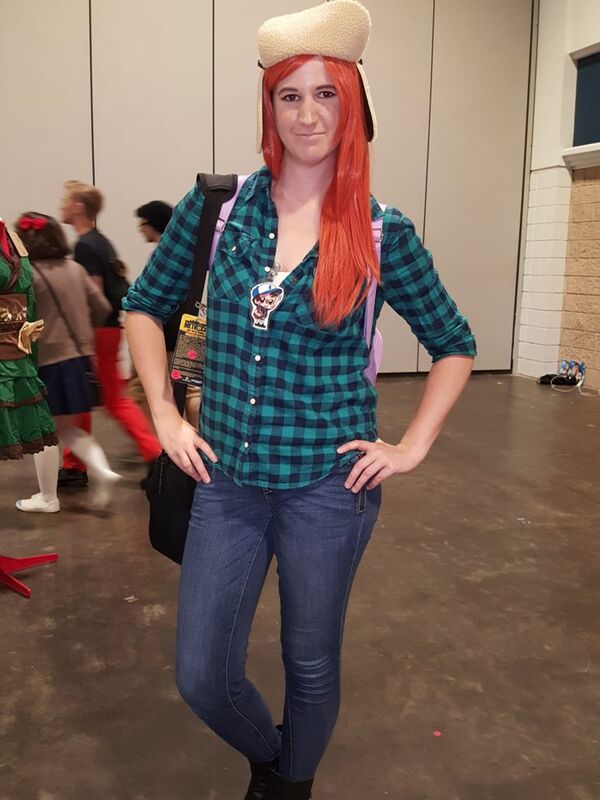 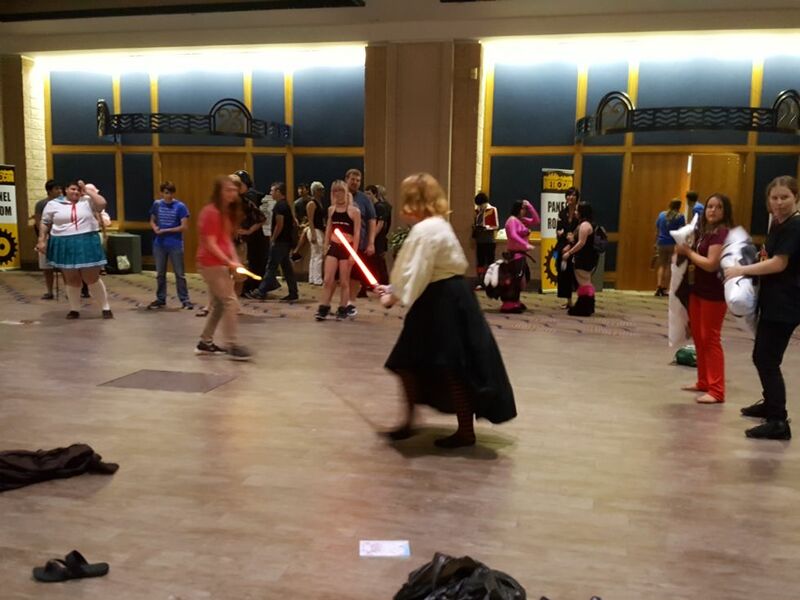 Attended the anime convention in Tampa on Friday (with Jeaux) and Saturday (alone because Jeaux was sick). 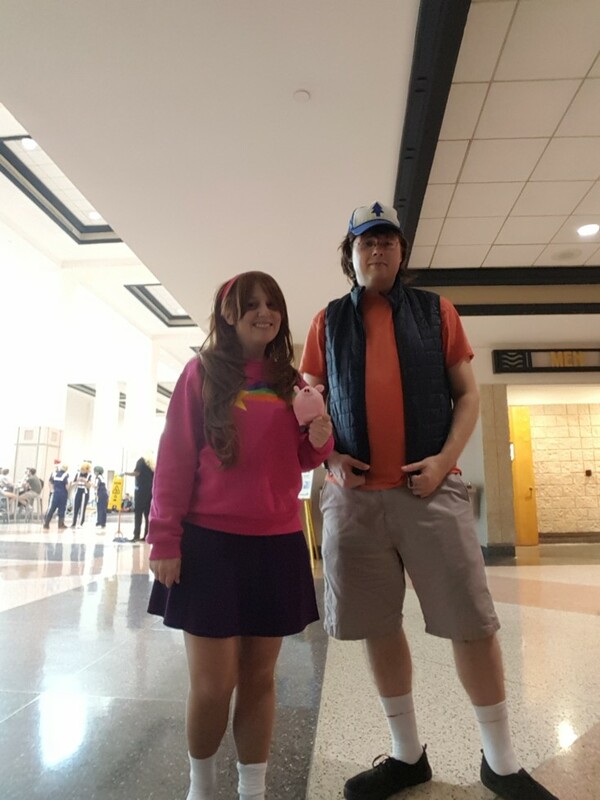 Went with Jeaux as Dipper and Mabel Pines from Gravity Falls. 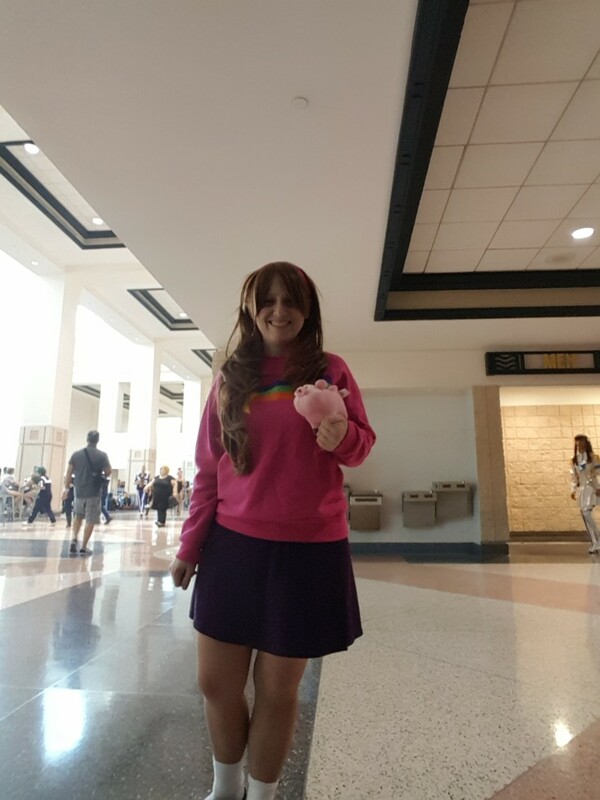 Me as Mabel with my pig Waddles. 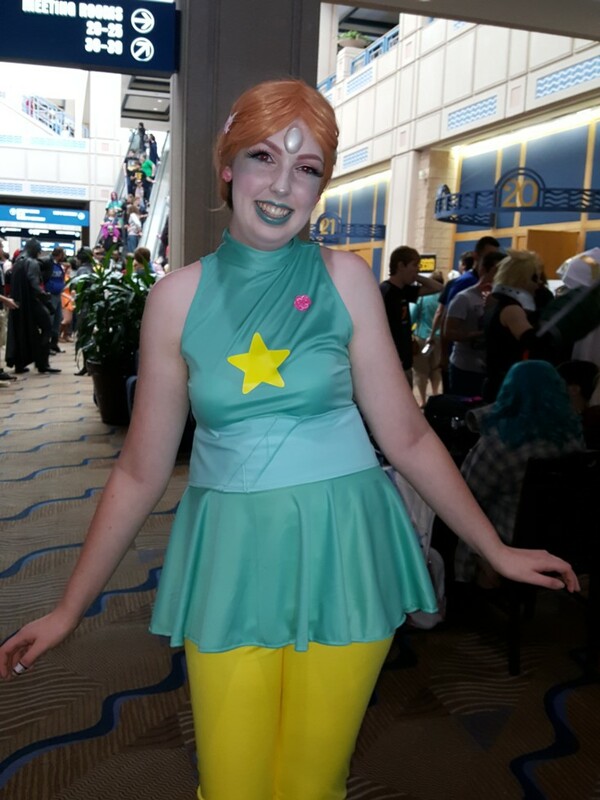 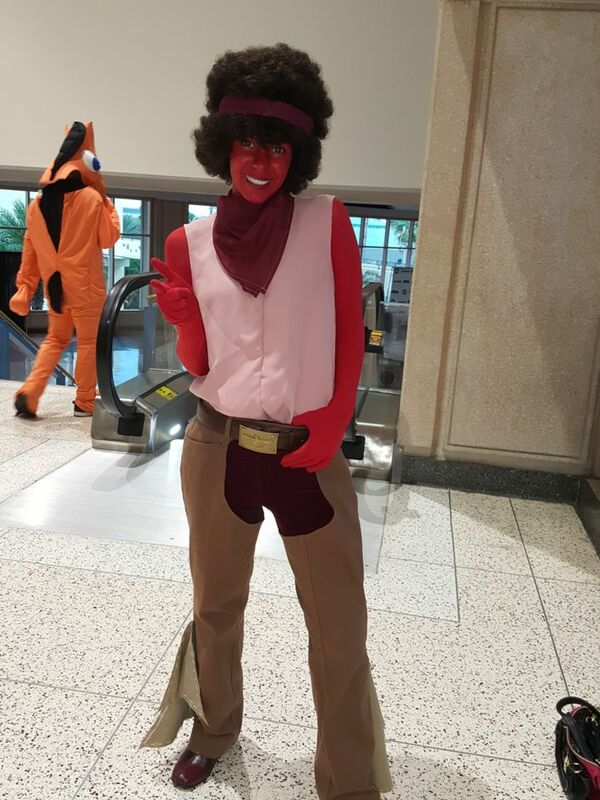 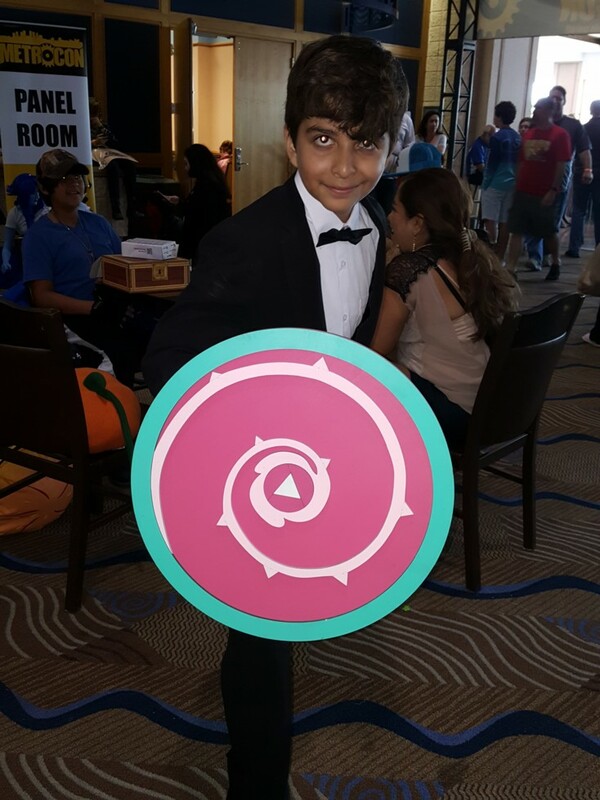 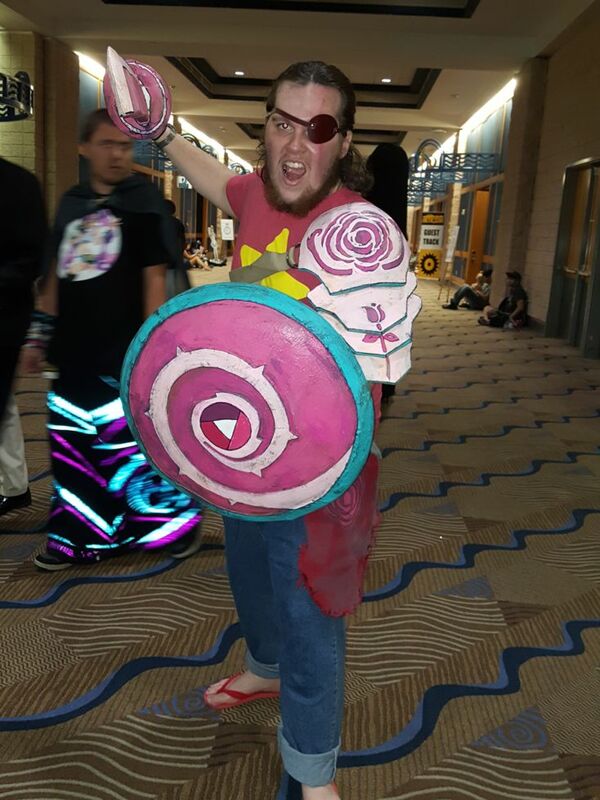 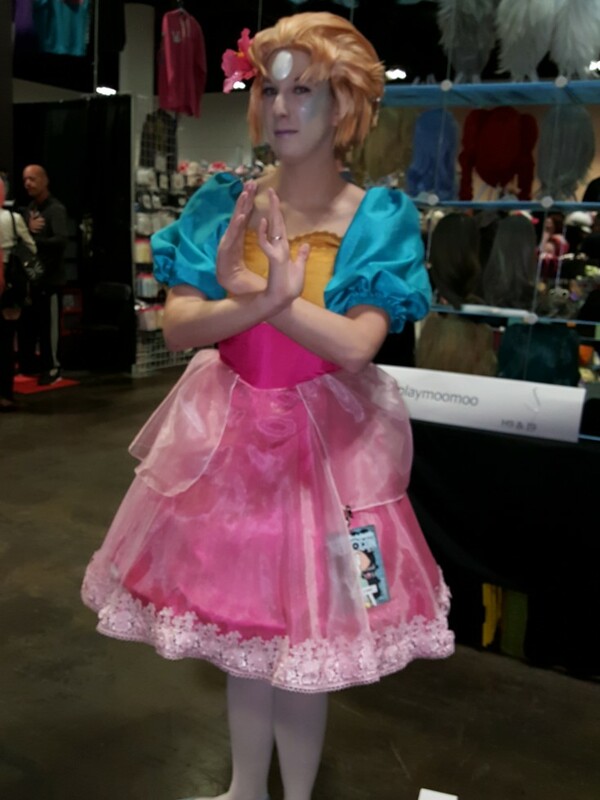 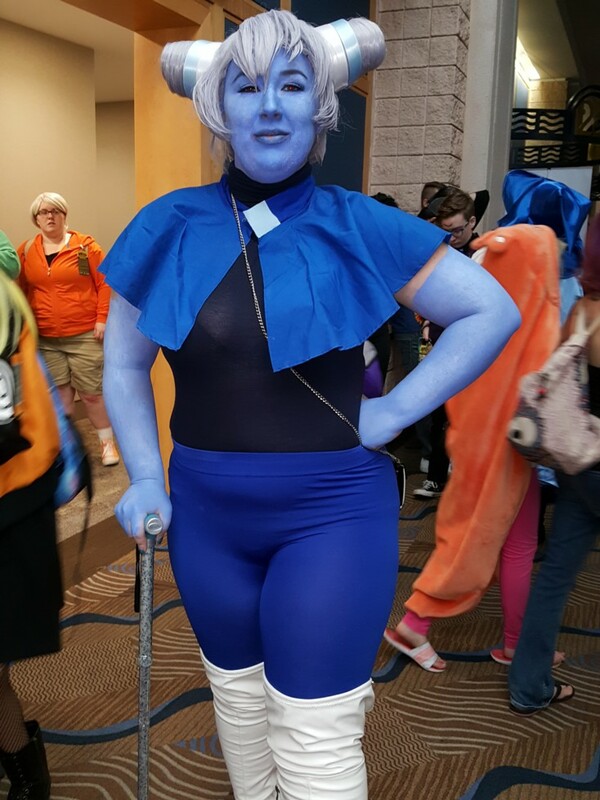 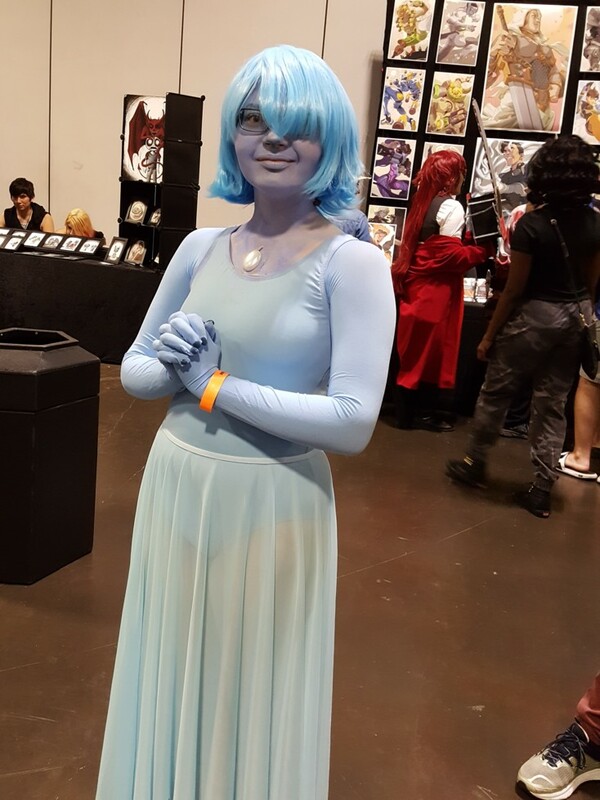 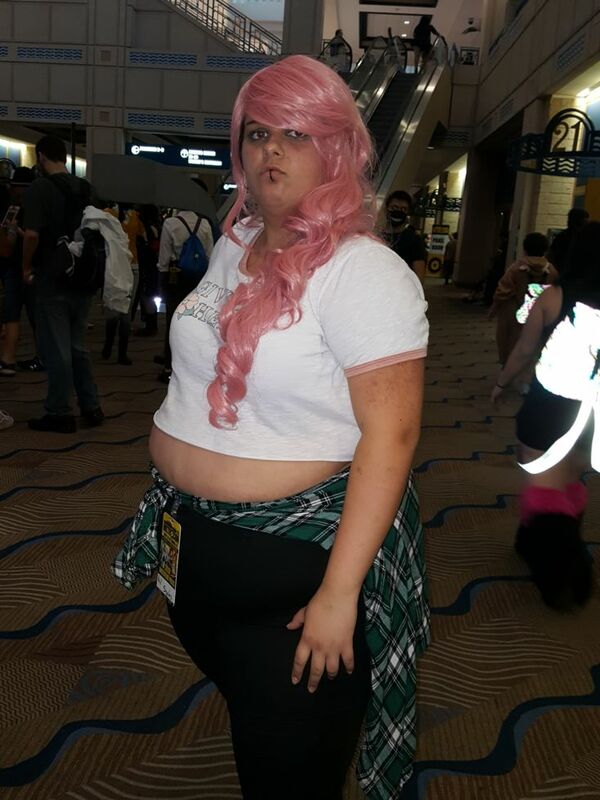 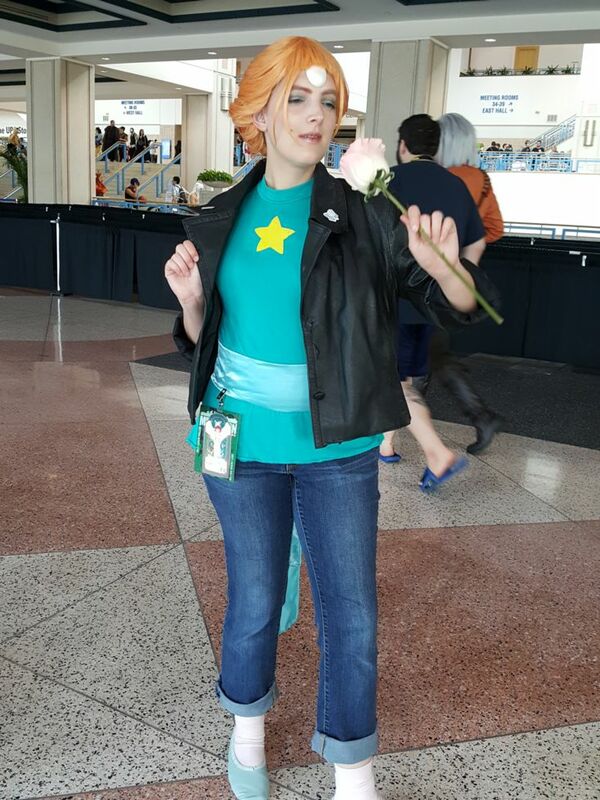 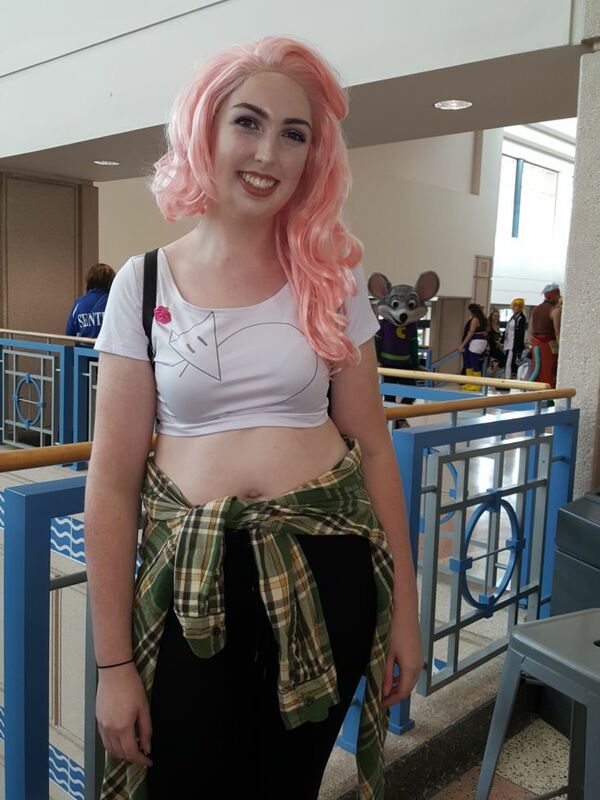 The first Rose Quartz cosplay I saw, but not the last. 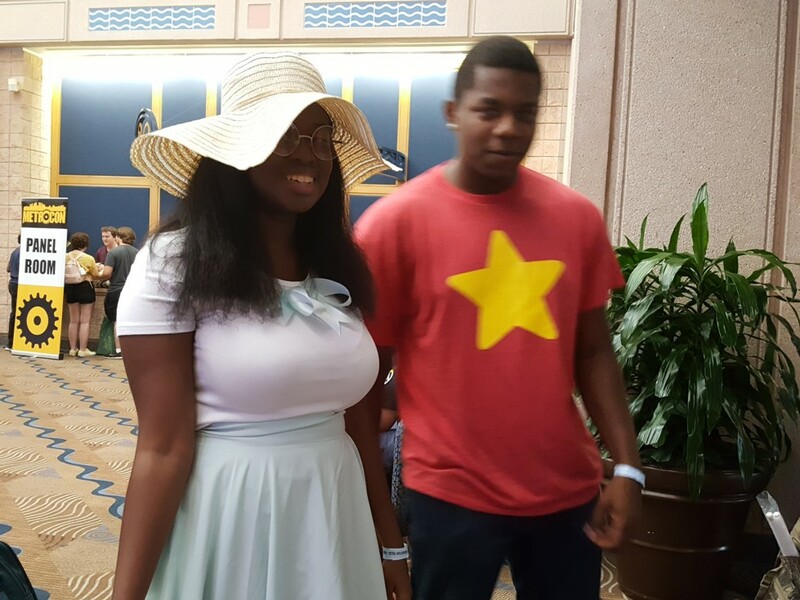 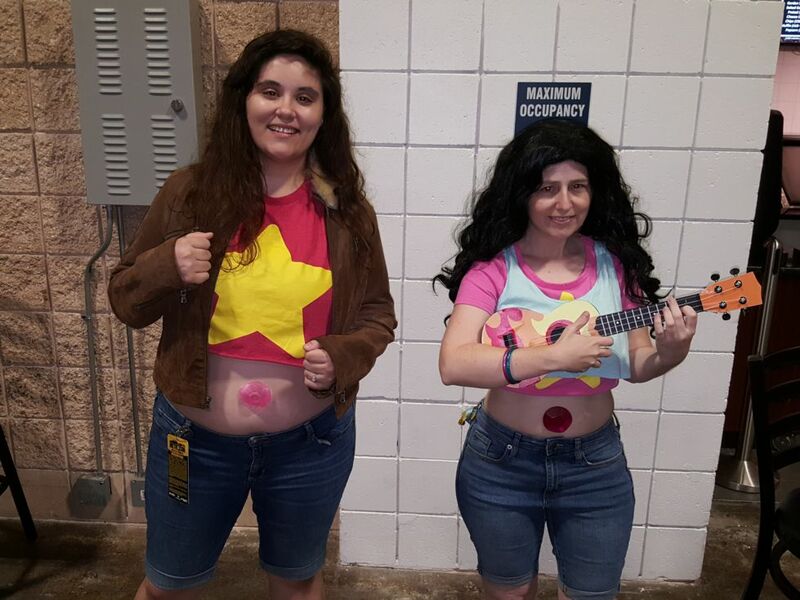 Look, a Connie and a Steven. 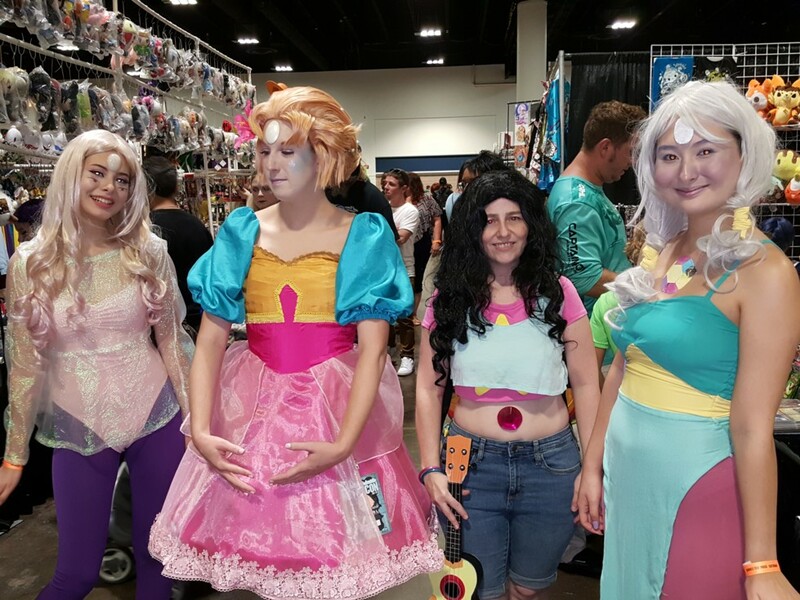 I told them I would be coming to the con as their Fusion on Saturday. 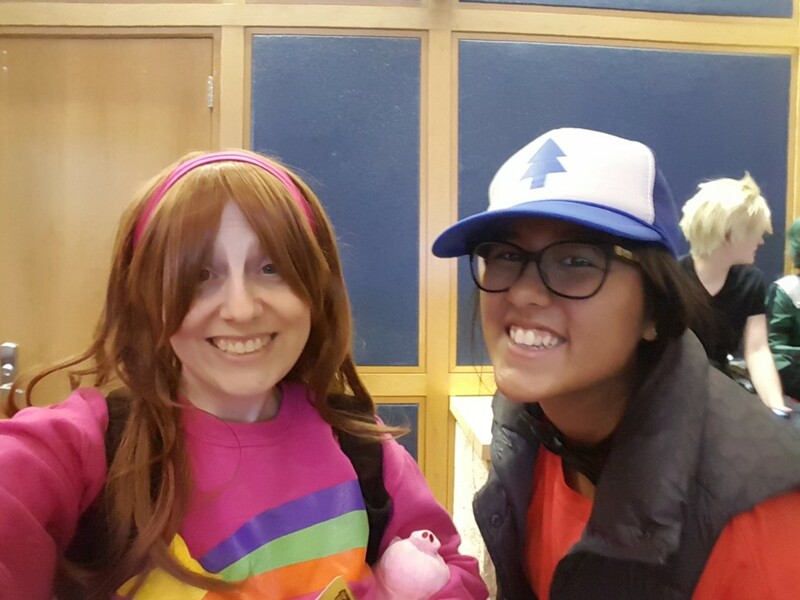 Jeaux went on an errand and while he was gone I found this other Dipper, so I texted him this picture and said he'd been replaced. 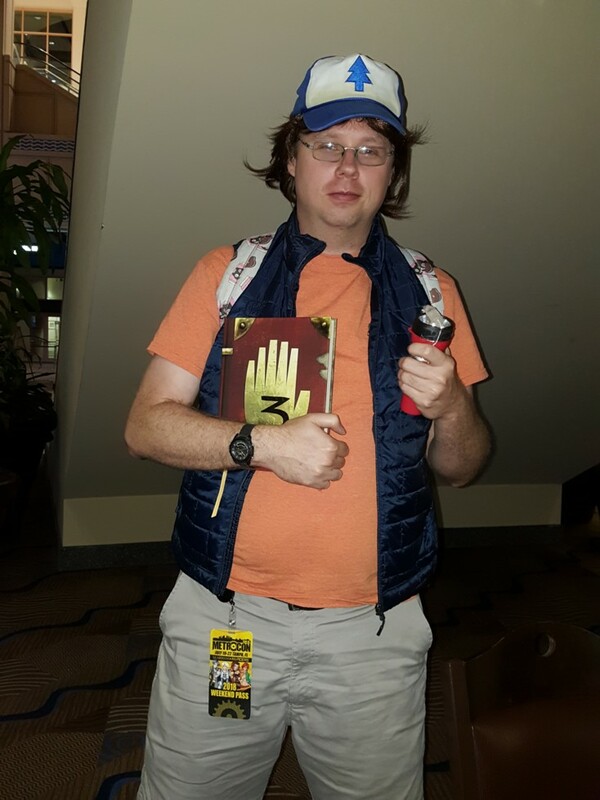 Jeaux as Dipper with his journal! 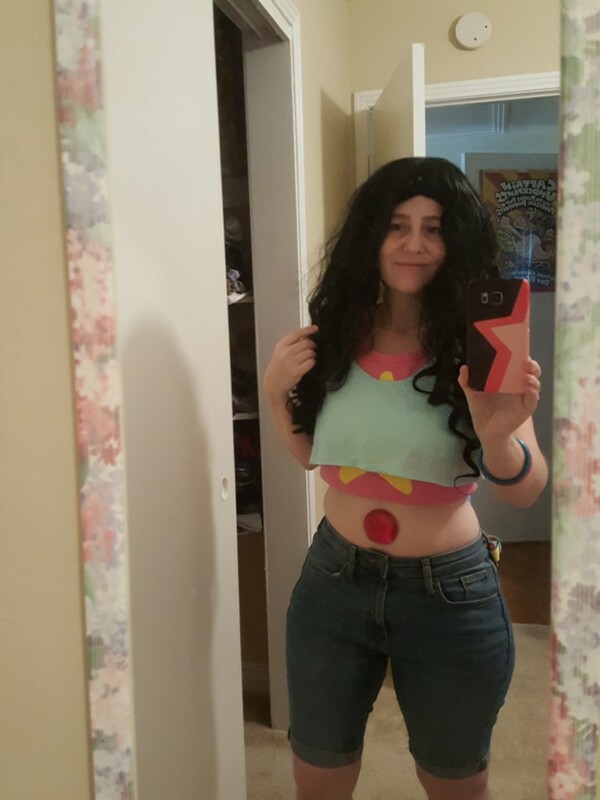 And here's me getting ready as Stevonnie in the morning. 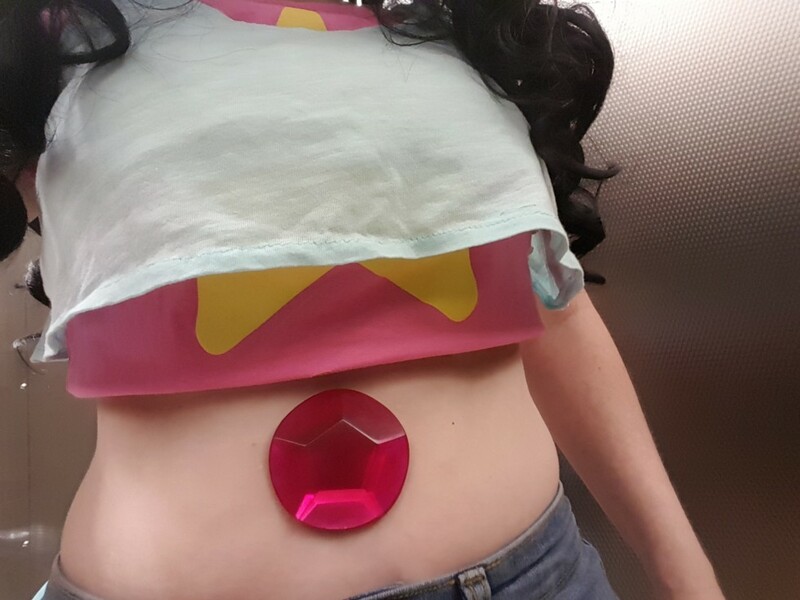 My cute li'l belly Gem. 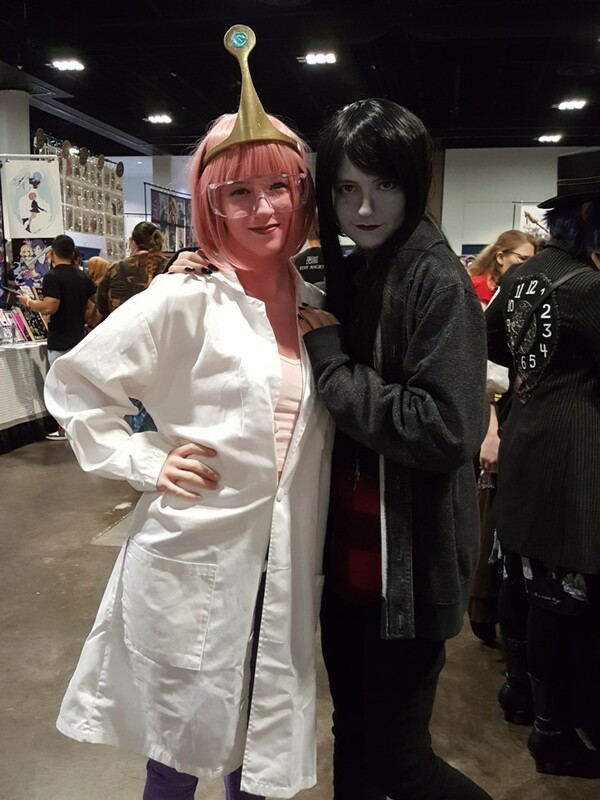 I found Princess Bubblegum and Marceline the Vampire Queen in the dealer room. 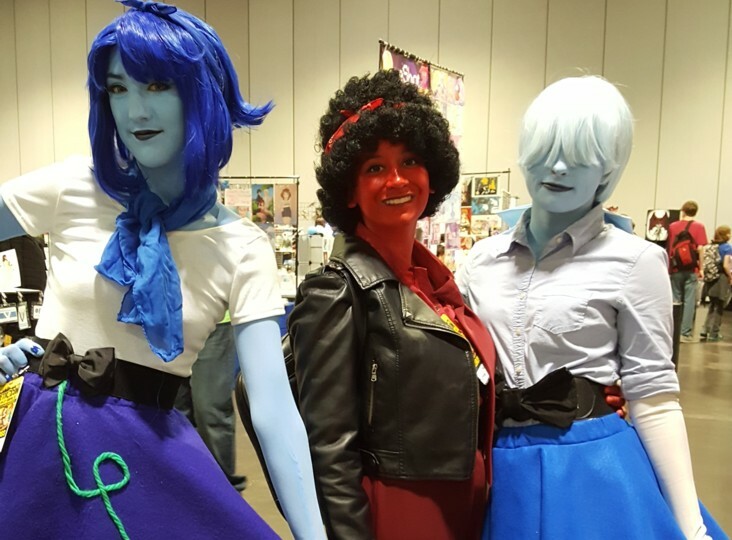 Lapis Lazuli, Ruby, and Sapphire in cool alternate outfits. 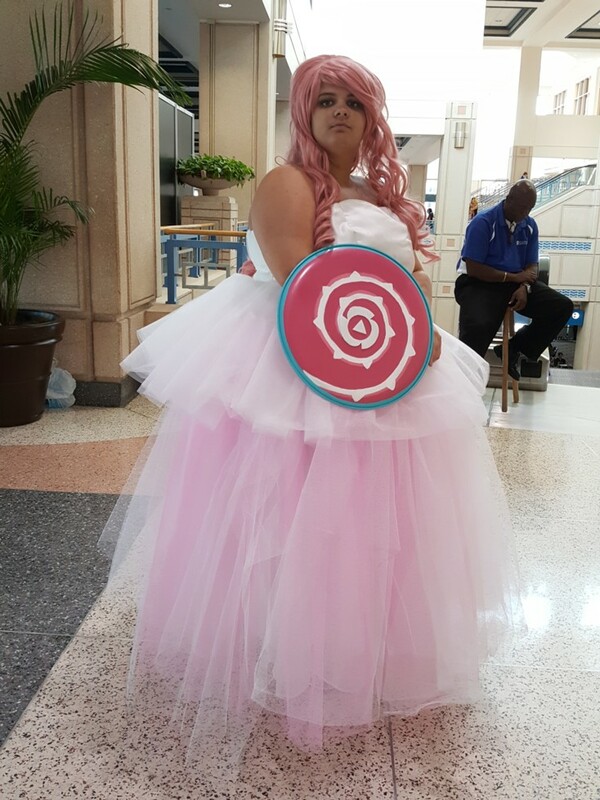 A very fancy Rose Quartz with shield and sword. 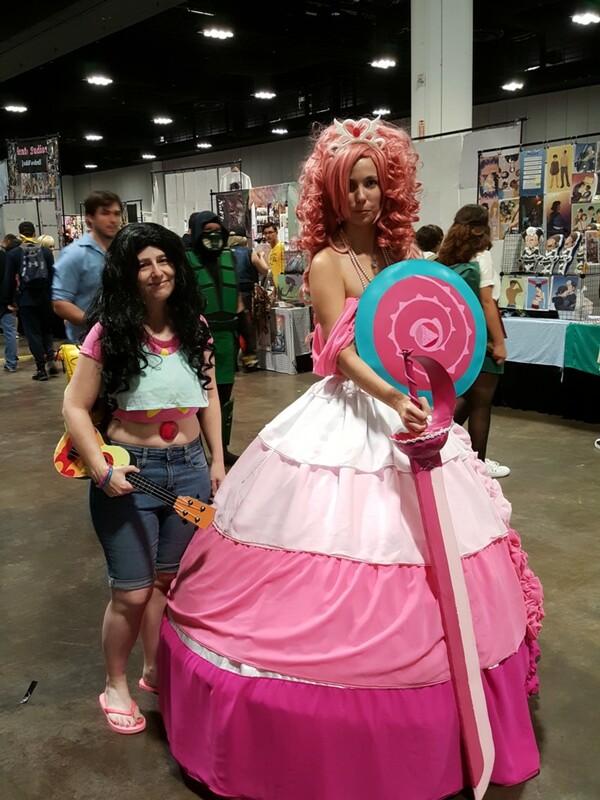 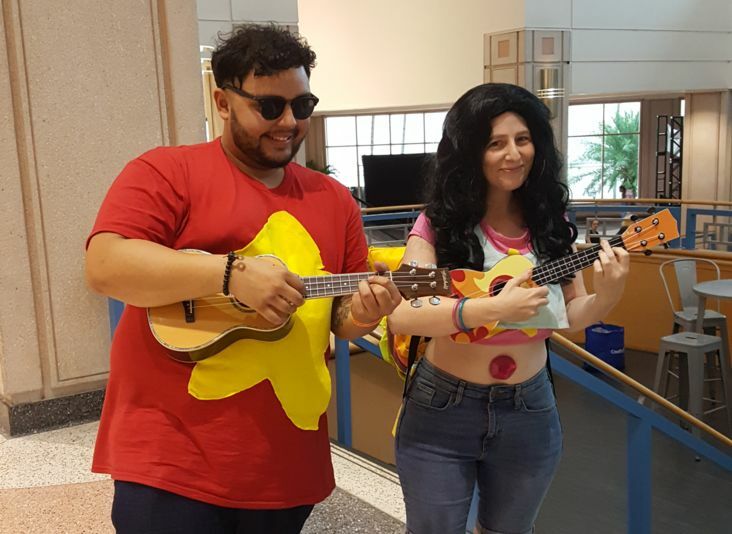 Me as Stevonnie with the fancy Rose Quartz. 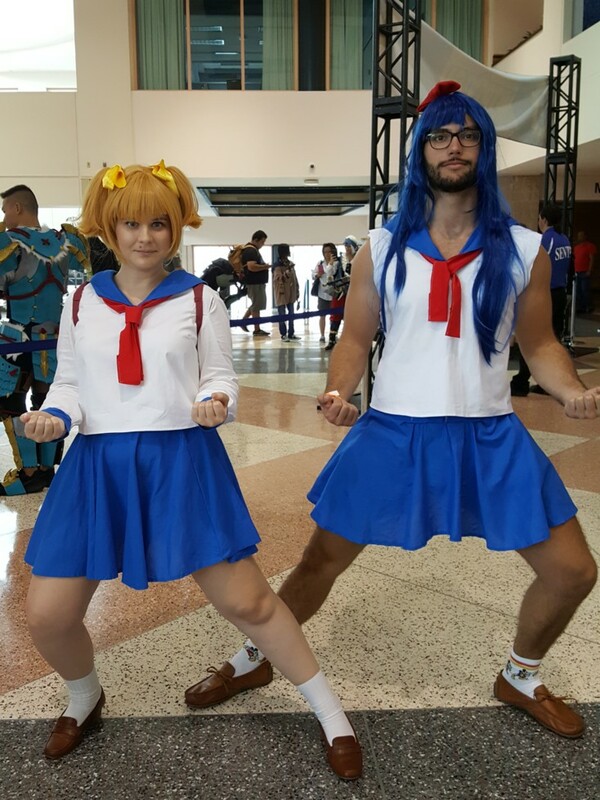 Popuko and Pipimi from Pop Team Epic. 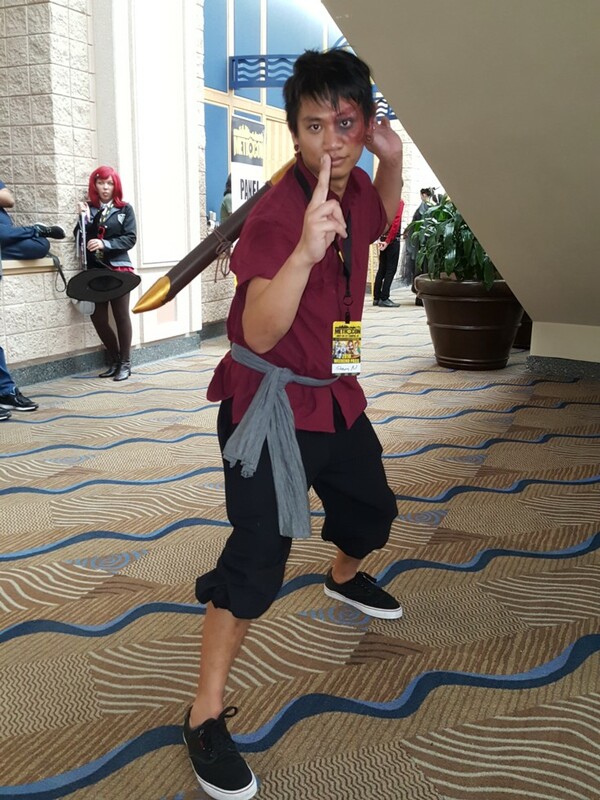 Zuko from Avatar: The Last Airbender. 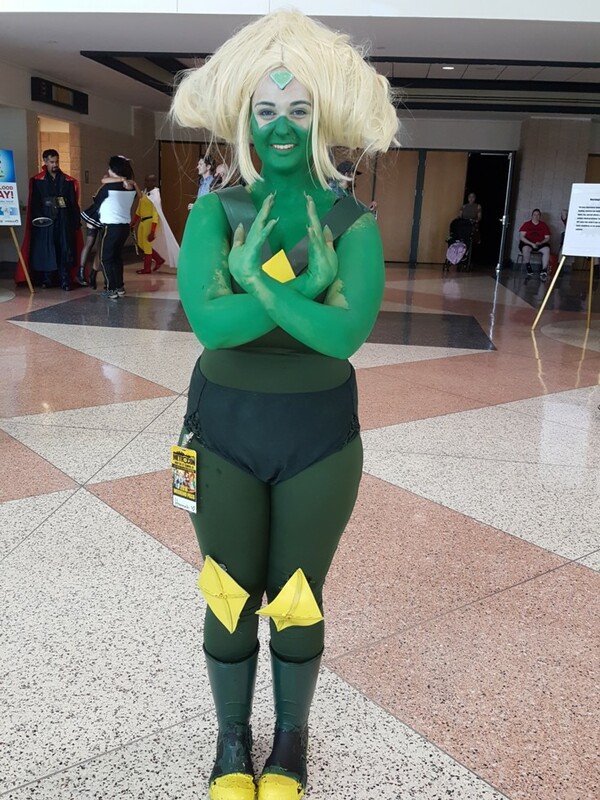 The only Peridot I saw at the con. 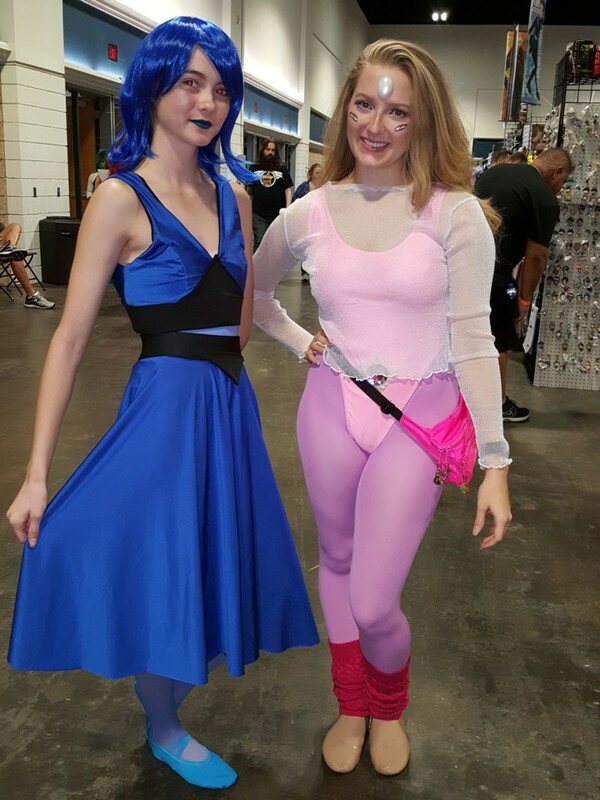 Lapis Lazuli and Rainbow Quartz. 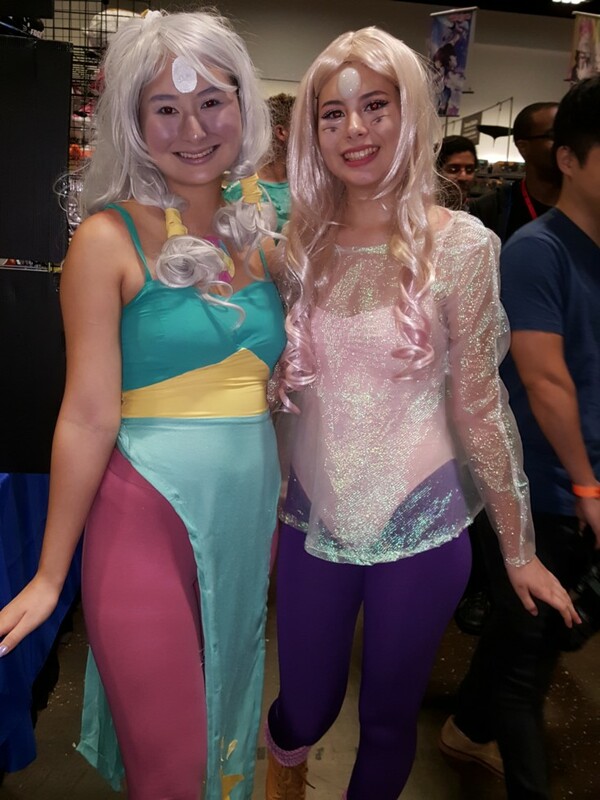 Me with the really cute Opal and Rainbow Quartz. 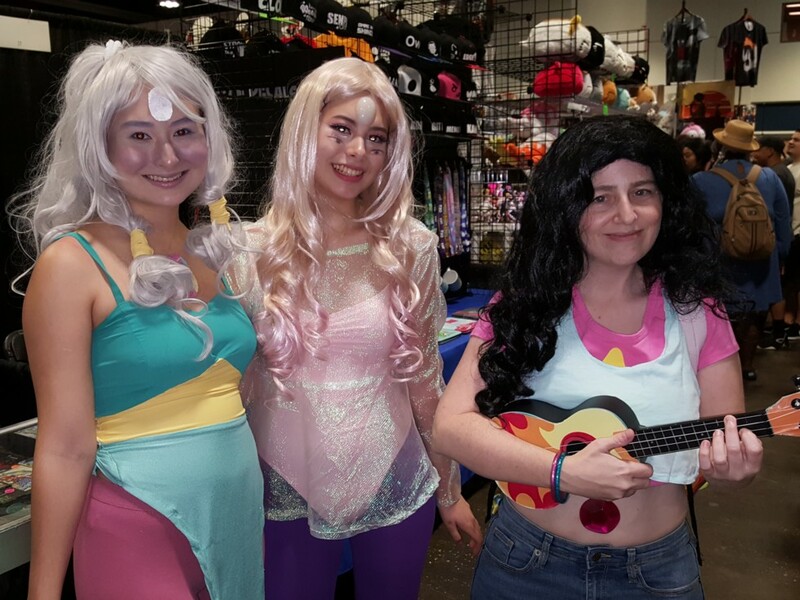 Rainbow Quartz, Pearl, Stevonnie, and Opal. 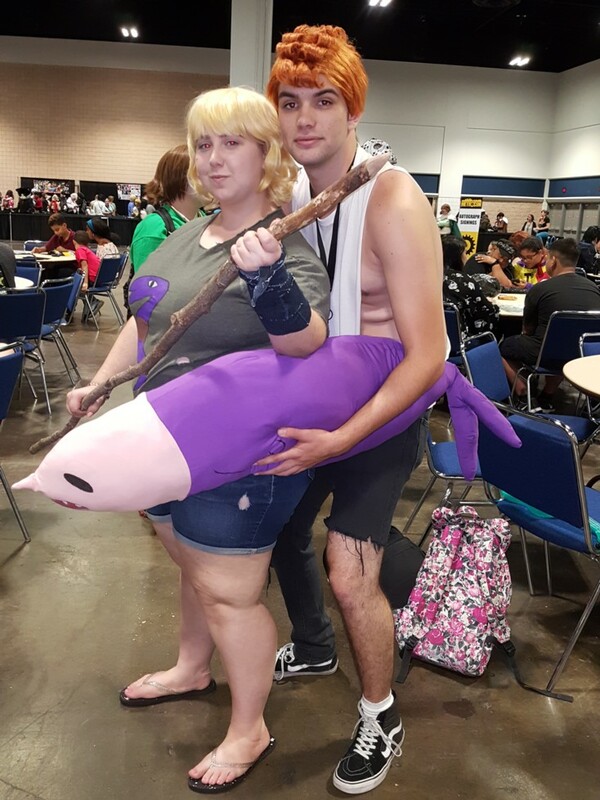 Sadie and Lars from a specific episode, "Island Adventure." 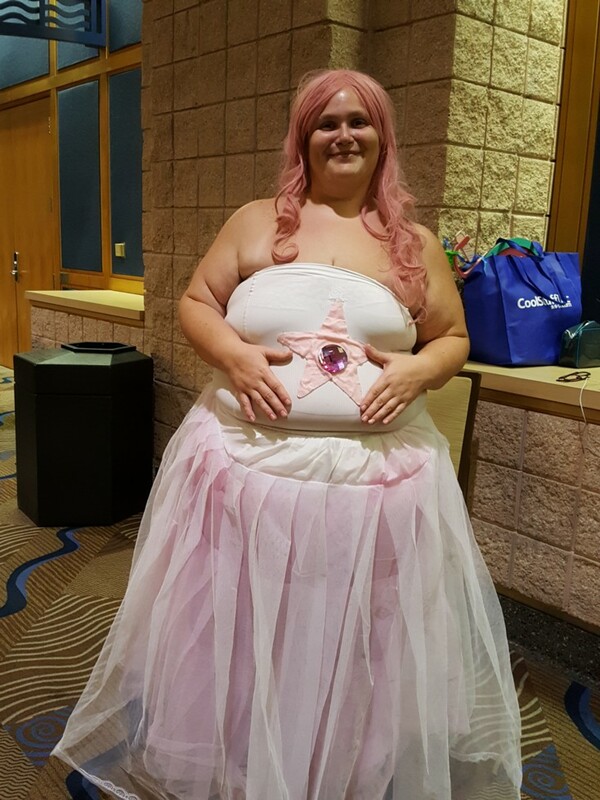 A young Steven in his wedding clothes. 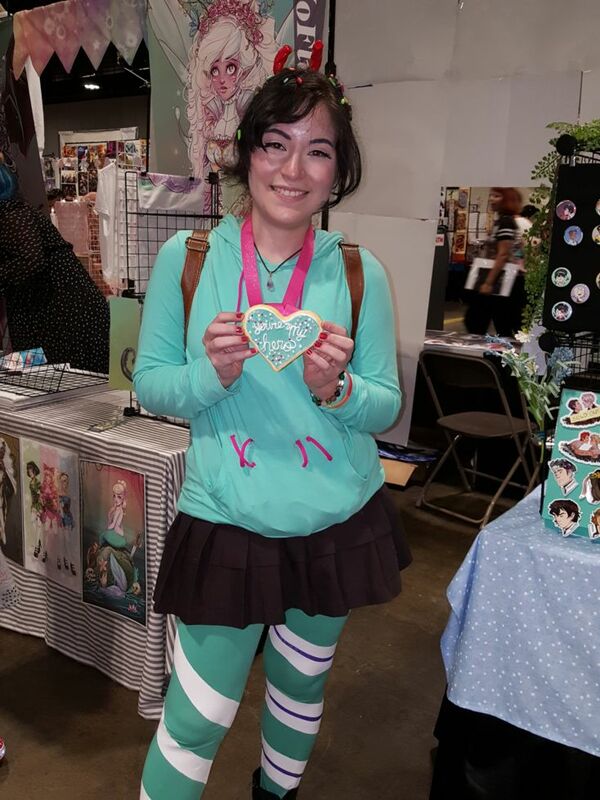 A cute Vanellope from Wreck-It Ralph. 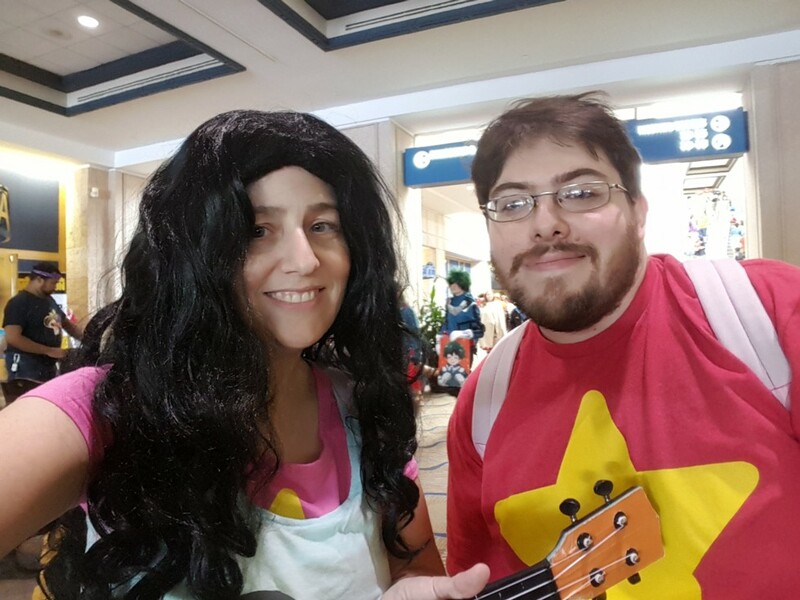 Another Steven who plays uke! 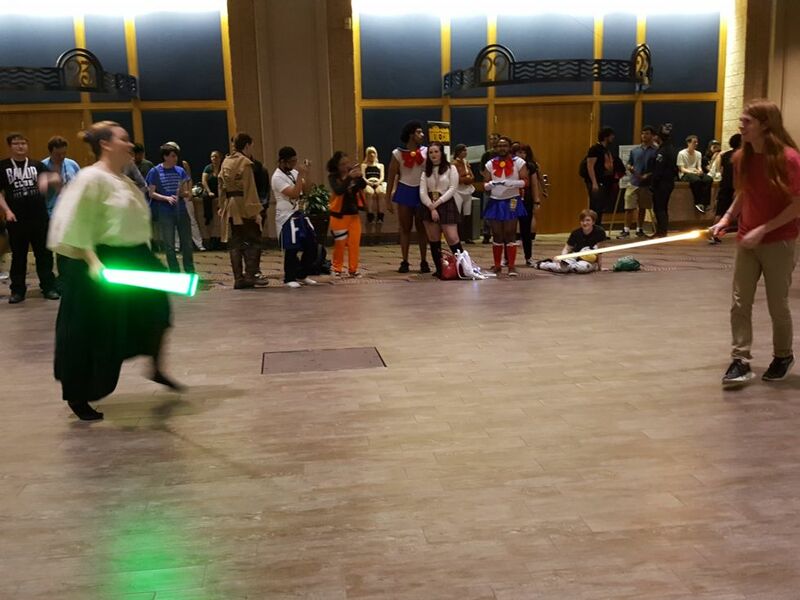 Some nerds fighting with lightsabers.